FARMINGTON, Utah, Oct. 5, 2017 /PRNewswire/ -- Vista Outdoor Inc.'s (NYSE: VSTO) Board of Directors announced that Christopher T. Metz will serve as the Company's Chief Executive Officer, effective October 9, 2017. Metz will have responsibility for day-to-day operations of the Company, and its entire brand portfolio. He will also serve as a member of the Board of Directors. During the Company's second quarter Board of Directors meeting, the Board will appoint a permanent Chairman of the Board and until that date, Michael Callahan will continue to serve as Interim Chairman, and Ambassador April Foley will continue to serve as Lead Independent Director. "The Board couldn't be more pleased that Chris is joining Vista Outdoor," said Callahan. "He has over 25 years of experience leading consumer and industrial-based global businesses. Chris is highly strategic, operationally savvy, and has experience improving the performance of leading organizations. He is a motivational leader with broad experience in sales, marketing and operations. His capabilities will benefit Vista Outdoor as we continue our focus on building our brands, expanding our e-commerce presence, reducing inventory, and driving continuous improvement." Metz was most recently the president and CEO of Arctic Cat from 2014 to 2017. From 2005 to 2014, he served as a managing director of Sun Capital Partners, Inc., a leading private equity firm. Prior to Sun Capital, Metz worked for Black & Decker from 1992 to 2005. 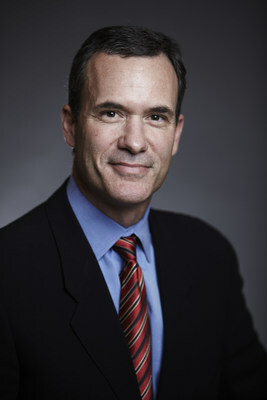 During his tenure with the company, he was president of the Hardware and Home Improvement Group from 1999 to 2005, and held various leadership positions including president of Kwikset Corporation, president of Price Pfister, president of Baldwin Hardware, and general manager of European Professional Power Tools and Accessories, during which time he lived in Frankfurt, Germany. Metz serves on the board of Acushnet Holdings Corporation (NYSE: GOLF). He holds a bachelor's degree in finance and marketing from the University of Delaware and earned a master of business administration degree from the Kenan Flagler School of Business, University of North Carolina at Chapel Hill. He is an avid hunter, angler and cyclist. "I am thrilled to join the Vista Outdoor team," said Metz. "The company is a leader in outdoor sports and recreation products, with a unique and well-positioned portfolio of brands. I look forward to working with the talented employees as we leverage Vista Outdoor's capabilities to deliver innovative products, build upon strategic partnerships, improve performance, and drive shareholder value." "The Board of Directors extends its appreciation to Mike for stepping into the interim CEO role and for working closely with the Company's strong team," said Ambassador Foley. "Mike has provided continuity throughout this transition and we, along with the employees at Vista Outdoor, are grateful for his service." Vista Outdoor will hold its Fiscal Year 2018 Second Quarter Earnings Call on November 9, 2017. Vista Outdoor is a leading global designer, manufacturer and marketer of consumer products in the growing outdoor sports and recreation markets. The company operates in two segments, Outdoor Products and Shooting Sports, and has a portfolio of well-recognized brands that provides consumers with a wide range of performance-driven, high-quality and innovative products for individual outdoor recreational pursuits. Vista Outdoor products are sold at leading retailers and distributors across North America and worldwide. Vista Outdoor is headquartered in Farmington, Utah and has manufacturing operations and facilities in 13 U.S. States, Canada, Mexico and Puerto Rico along with international sales and sourcing operations in Asia, Australia, Canada and Europe. For news and information visit www.vistaoutdoor.com or follow us on Twitter @VistaOutdoorInc and Facebook at www.facebook.com/vistaoutdoor. Certain statements in this press release and other oral and written statements made by Vista Outdoor from time to time are forward-looking statements, including those that discuss, among other things: Vista Outdoor's plans, objectives, expectations, intentions, strategies, goals, outlook or other non-historical matters; projections with respect to future revenues, income, earnings per share or other financial measures for Vista Outdoor; and the assumptions that underlie these matters. The words 'believe', 'expect', 'anticipate', 'intend', 'aim', 'should' and similar expressions are intended to identify such forward-looking statements. To the extent that any such information is forward-looking, it is intended to fit within the safe harbor for forward-looking information provided by the Private Securities Litigation Reform Act of 1995. Numerous risks, uncertainties and other factors could cause Vista Outdoor's actual results to differ materially from expectations described in such forward-looking statements, including the following: general economic and business conditions in the U.S. and Vista Outdoor's other markets, including conditions affecting employment levels, consumer confidence and spending; Vista Outdoor's ability to attract and retain key personnel and maintain and grow its relationships with customers, suppliers and other business partners, including Vista Outdoor's ability to obtain acceptable third party licenses; Vista Outdoor's ability to adapt its products to changes in technology, the marketplace and customer preferences; Vista Outdoor's ability to maintain and enhance brand recognition and reputation; reductions, unexpected changes in or our inability to accurately forecast demand for ammunition, firearms or accessories or other outdoor sports and recreation products; risks associated with Vista Outdoor's sales to significant retail customers, including unexpected cancellations, delays and other changes to purchase orders; supplier capacity constraints, production disruptions or quality or price issues affecting Vista Outdoor's operating costs; Vista Outdoor's competitive environment; risks associated with compliance and diversification into international and commercial markets; the supply, availability and costs of raw materials and components; increases in commodity, energy and production costs; changes in laws, rules and regulations relating to Vista Outdoor's business, such as federal and state firearms and ammunition regulations; Vista Outdoor's ability to execute its long-term growth strategy, including our ability to complete and realize expected benefits from acquisitions and integrate acquired businesses; Vista Outdoor's ability to take advantage of growth opportunities in international and commercial markets; foreign currency exchange rates and fluctuations in those rates; the outcome of contingencies, including with respect to litigation and other proceedings relating to intellectual property, product liability, warranty liability, personal injury and environmental remediation; risks associated with cybersecurity and other industrial and physical security threats; capital market volatility and the availability of financing; changes to accounting standards or policies; and changes in tax rules or pronouncements. Vista Outdoor undertakes no obligation to update any forward-looking statements. For further information on factors that could impact Vista Outdoor, and statements contained herein, please refer to Vista Outdoor's filings with the Securities and Exchange Commission.